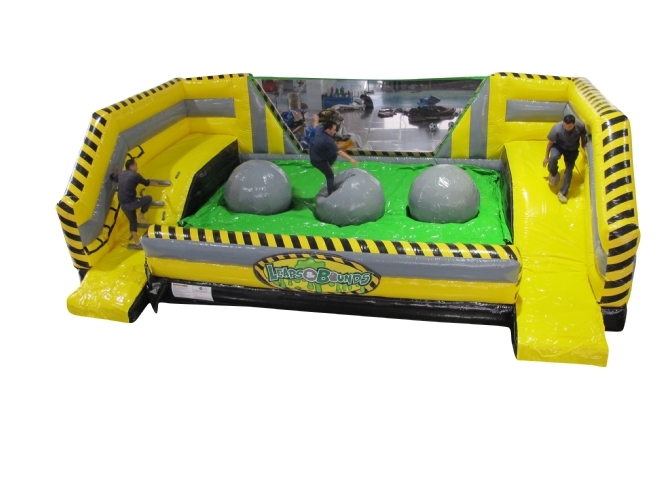 Now you can bring a part of the TV game show WIPEOUT to your party with Leaps-N-Bounds. A favorite game of challenge for young and old. The teenagers are sure to enjoy this at a grad party. This unit measures 30' wide x 15' deep ( plus ramps) by 10' high.